According to Tony Clarke, managing director of the Rawson Property Group, the best time to buy property was 20 years ago and now. Clarke points to several reasons such as the fact that the US economy is steadily recovering slowly and this bodes well for South Africa because, like that of almost all other countries in the world, South Africa’s economy is heavily influenced by the US’s economic performance. Secondly, he says there is no need to be overly concerned about the possible rises in South Africa’s interest rates. Clarke points out that South Africa’s anticipated 2.6 percent growth rate for 2014 is nothing to write home about – but it should be sufficient to keep the housing market alive. Thirdly, he says demand in many house price categories now exceeds supply, ensuring that year-on-year house price growth remains not far below 10 percent and this will also ensure that rentals continue to rise at around 7.5 percent per annum (above the inflation rate). Fourthly, he notes that house price growth in recent years has been low enough to ensure that South African homes are still eminently affordable and in many cases are still at 2010 levels. According to Absa, the small house category recorded an average price of R764 000 while the middle bracket saw the average price reaching R1.4 million with the luxury homes category recording R1 710 000. By European or US standards these prices are ridiculously inexpensive, especially those in the upper brackets, points out Clarke. Meanwhile, despite an interest rate increase in January, home buying activity has spiked especially in the lower end of the market. Berry Everitt, managing director of the Chas Everitt International property group, says those wanting to buy property should buy now, pointing out that those who have been waiting for the perfect moment were prompted to buy following the rate increase. 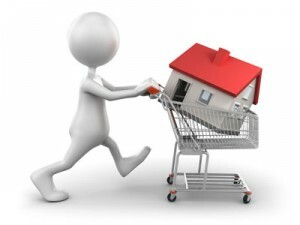 What’s more, he says, should there be more rate increases, many new buyers may not be able to qualify for home loans. He says at a prime rate of 8.5 percent, the minimum household income needed to qualify for the average first-time buyer loan of R630 000 is around R18 000 a month. At a prime rate of 9 percent, it goes up to R19 000 a month, and with the costs of transport, electricity and food also continuing to rise, many would-be borrowers are also worried about having enough “disposable” income to satisfy a lender (in terms of the National Credit Act) that they can afford the monthly repayment on a bond. On top of that, he says strong demand in the past few months has created shortages of homes for sale in popular areas that are driving prices up quite rapidly. He notes that an additional buying stimulus is the fact that rentals are rising – and not only because the interest rate increase has pushed up landlords’ repayments on their bonds. “Rentals traditionally get reviewed at the beginning of the year anyway, and this year landlords have been able to implement bigger increases than in the past few years because of an increasingly severe shortage of rental stock,” he says. Although the rate increase in January did not cause much distress to existing owners or prompt many to sell, he urges those with debt to do everything they can to reduce it as soon as possible. According to Wayne Albutt, regional sales manager for the Rawson Property Group in the Western Cape, sentiment and not interest rates are a prime factor in influencing the sale of residential property. Albutt says sentiment leads people to decide whether they will buy or sell property. To back this up, he explains that many agents in the Western Cape saw sales increase significantly in 2013 and the Rawson franchises saw sales increase by 43 percent in 2013. He says the market has been bullish because banks have been giving home loans with deposits often in the region of 20 percent and so those who rent and clearly cannot afford to buy, but their data show that the market has plenty of serious buyers who are prepared to put down hefty deposits. “While this may be true in view of the big deposits and the many expensive extra costs that accompany a purchase, in many cases an ego element comes into play – the buyer prefers the status of a smarter rented property to that of a more humble home,” he says. However, he says it is important to recognise that bonds are repayable over a very long period of time (often 20 to 30 years) and during that period interest rates will fluctuate as they have always done in the past. Furthermore, he says if buyers have not budgeted for significant interest rate increases down the line, some could find themselves in trouble.